The Lodge Adderbury House - a Memory of Adderbury. My family lived in The Lodge (house on far right of picture) for about 47 years. The Lodge is the gatehouse to the mansion called Adderbury House which became a home for elderly after the 2nd World War. 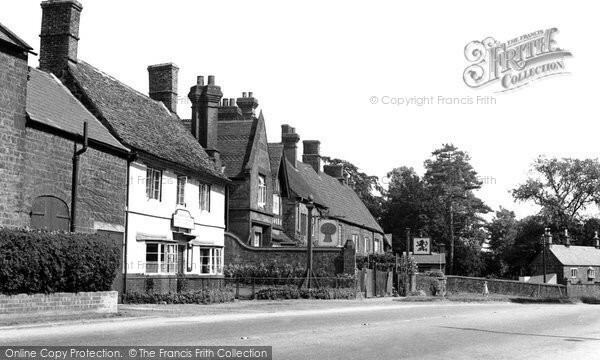 The two pubs you can see are The Red Lion (still exists) and The Wheatsheaf which is now a house. A memory shared by Glyn Gilkes on Sep 26th, 2007. Send Glyn Gilkes a message. Add a memory of Adderbury.